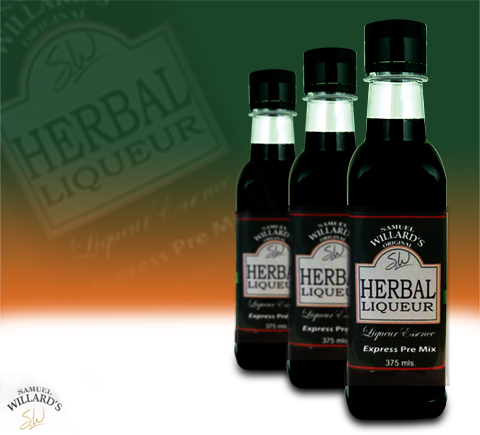 Our Essential Herbal Liqueur premix is a dry half-bitter herb liqueur. Drink as spirit chased by beer or mixed with tonic, orange juice, lemonade or cola. Samuel Willard’s Herbal Liqueur premixed base essence produces 1125mL of spirit from each 375mL bottle.